The Kitchari Kit has all the basic ingredients you'll need to get started. In a medium saucepan warm the ghee. Add the Kitchari Spice Mix and sauté for one to two minutes. Add rice and mung dal and sauté for another couple of minutes. Then add 6 cups of water and bring to a boil. Once the kitchari has come to a boil reduce the heat to medium-low. Cover and cook until it is tender (approx. 30–45 minutes). If you are adding vegetables to your kitchari, add the longer cooking vegetables, such as carrots and beets, halfway through the cooking. Add the vegetables that cook faster, such as leafy greens, near the end. Add more water if needed. Typically, kitchari is the consistency of a vegetable stew as opposed to a broth. A thinner consistency is preferable if your digestion is weak. 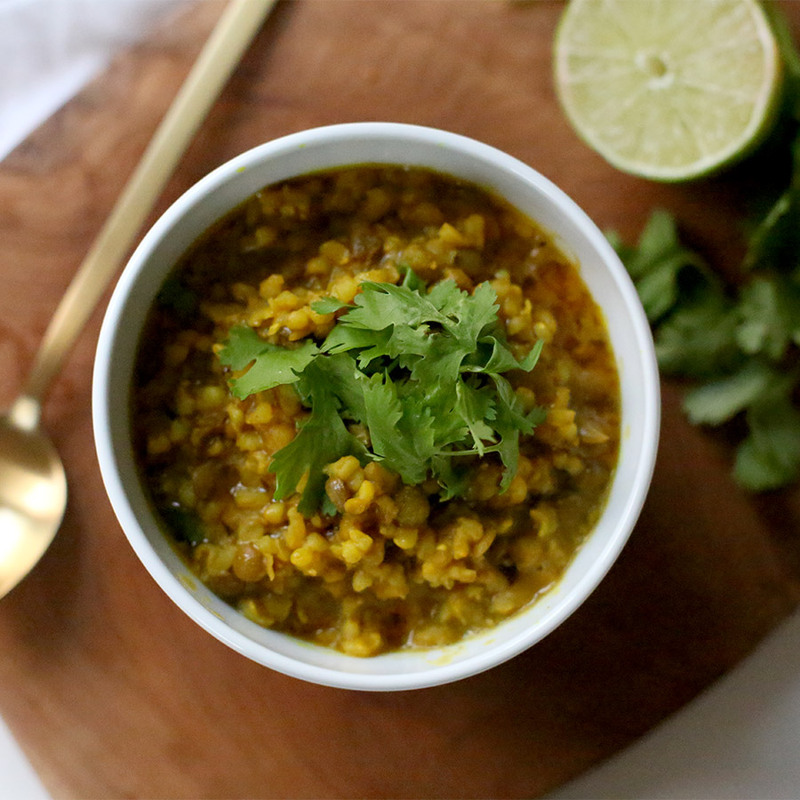 You will notice that kitchari will thicken when it cools and you may need more water than you originally thought. Garnish with fresh cilantro and add salt to taste (optional).